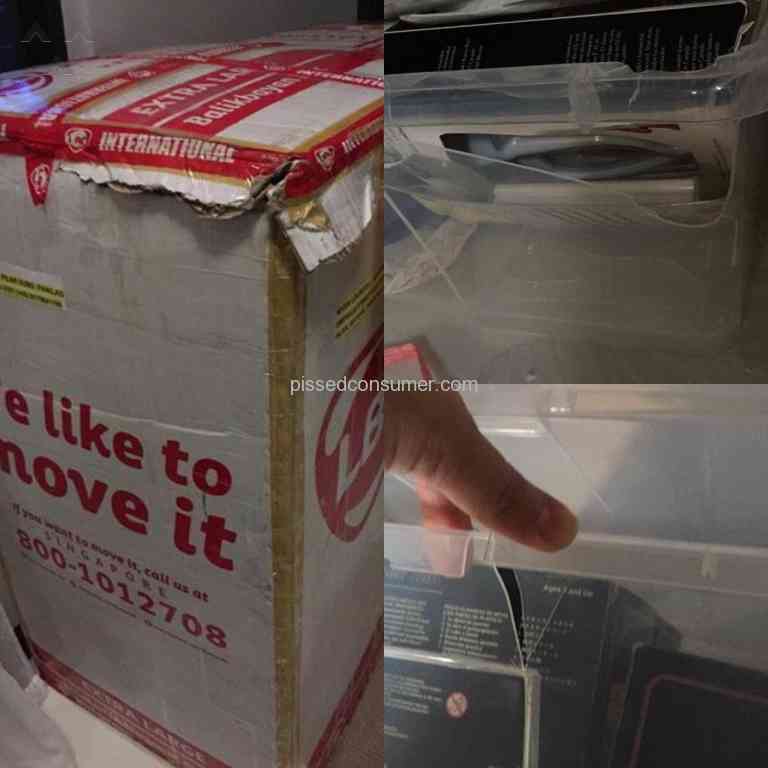 I want order balikbayan box medium..
hi i send my box to manila apparently my parents received it opened and lost most of the canned goods chocolates and food. pls do something about this. 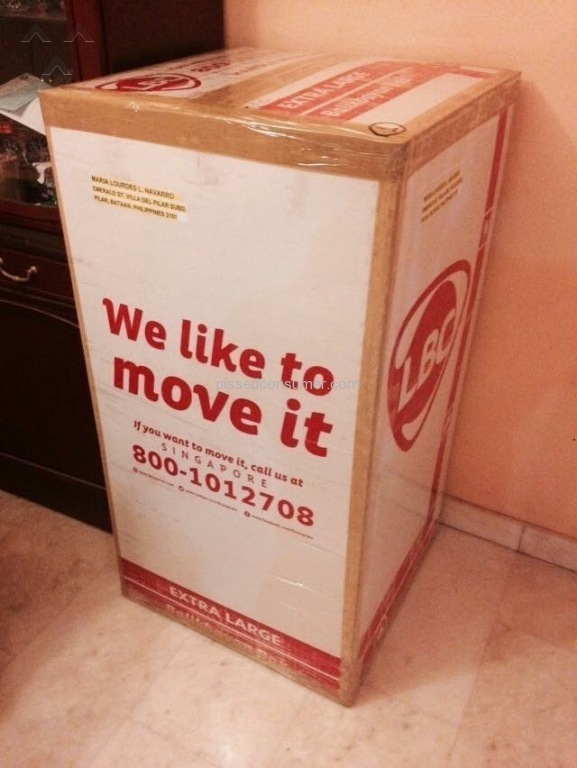 Mishandling of the box from pickup up to delivery . It was clearly stated on my declaration that i have a lot of liquid goods. 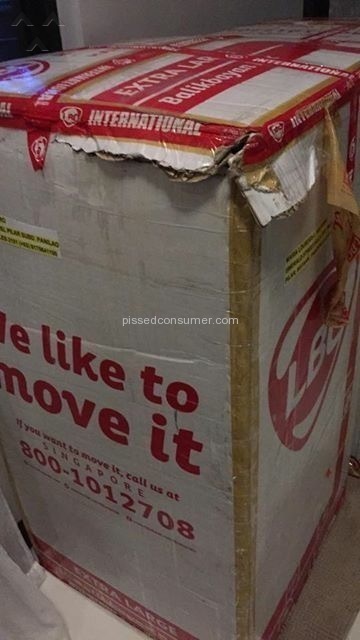 But i was shocked the moment my box was collected i witnessed mishandling already my box was in lying position when was loaded in their delivery van. Im not wondering this is the outcome of my box after was received. 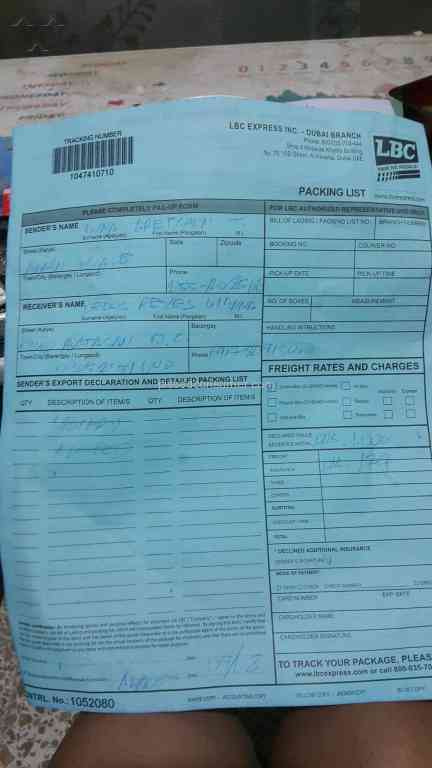 The box is in bacolod distributor already for more than a week,when was their plan to deliver it to my home town?that was only an hour to bring to my place,why they takes too long to deliver it!! !or they dont have plan to send it?..this will the last time to use your service,or should i tell some of my friends not to your service anymore!!! what happened next? was this resolved? 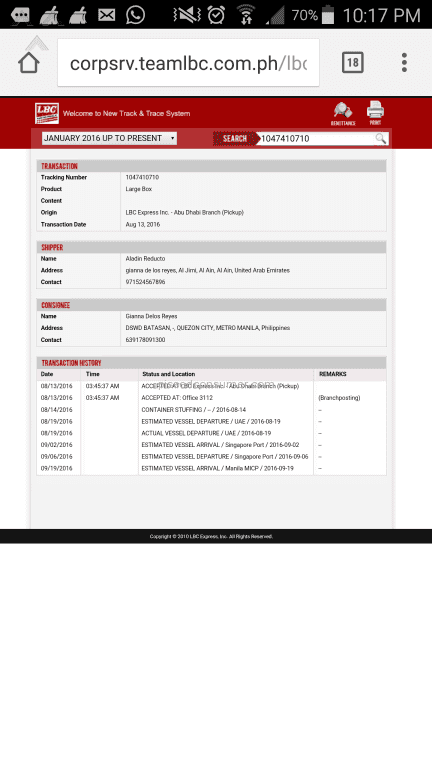 Lbc pick up my box Oct .15 2o15 Now its Nov.27,2015,tried to track it and tje result is always "PENDING" WHY?